Thank you for your interest. We have reached maximum capacity for this event and can no longer take additional registrations. Please watch for more events like this in the future. Thank you. RebelWell and Leisure Lifestyles have teamed up again to bring you a fun-filled nutrition event. This time, we are taking your favorite southern dishes and creating healthier versions. 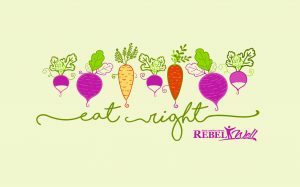 Enjoy a live cooking demonstration by RebelWell’s Registered Dietitian followed by a catered meal of all the makeovers. You don’t want to miss this delicious and healthy event.